Automotive engine cooling systems have been evolving rapidly along with advancements in engine performance and power, and intensive resources and vigorous efforts are being devoted to R&D work aimed at producing better cooling-medium flow and precision cooling-function integration. 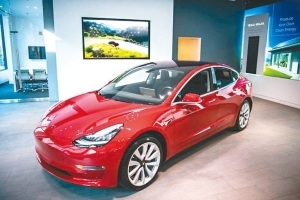 Today, major international automakers are targeting the development of intelligent and controllable systems that meet the more demanding cooling requirements of modern engines. Water pumps serve an essential function in engine cooling systems; but industry sources point out that while modern vehicles often have longer durability, modern water pumps do not. A water pump often has to be replaced when a vehicle's mileage reaches about 100,000. 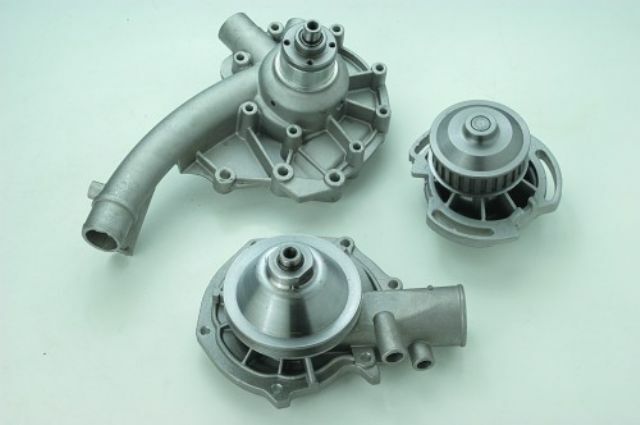 Generally speaking, the automotive component industry in China has not paid much attention to water pump products, leading to a lag behind international standards in terms of product design, manufacturing, and testing. Advanced automotive water pump manufacturing requires the ability to make pumps smaller, more powerful, and higher in precision, and this is what Chinese water-pump makers are working toward. 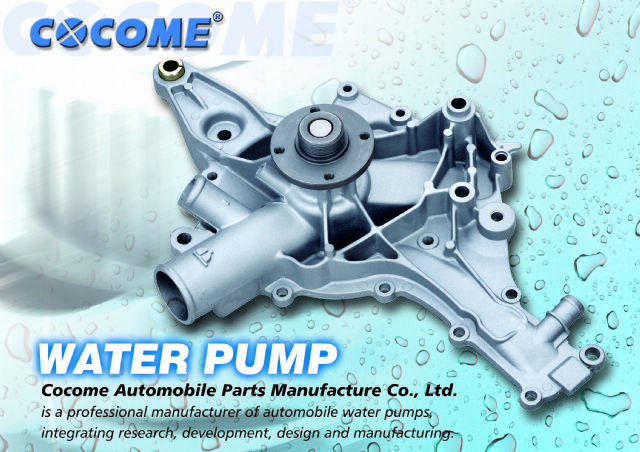 CocomeOne of leading water-pump makers in China is Cocome Automobile Parts Manufacture Co., Ltd., which was founded in 2002 in China's eastern province of Zhejiang. 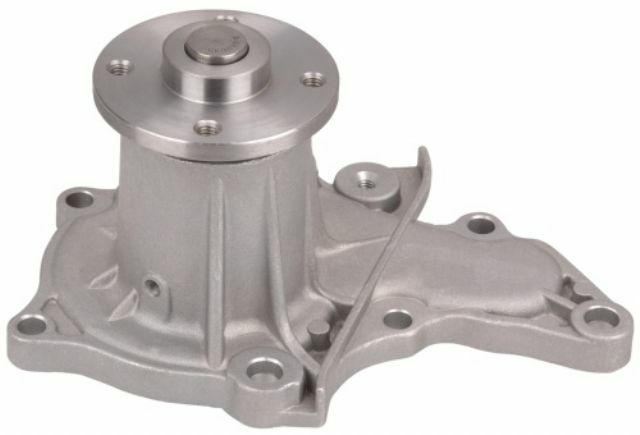 In addition to automotive water pumps, the company specializes in developing and manufacturing related parts and accessories as well as die-cast aluminum parts such as oil pans, cooling fan supports, and end plates. It claims to have strong capability in research, development, design, die-casting, and manufacturing. Cocome, a major Chinese water-pump maker, produces quality products using the world's most advanced equipment. Knowing the importance of human resources, Cocome has focused on personnel training over the years in order to maintain a high quality of labor. This effort has paid off in a high-caliber workforce made up of highly educated R&D engineers and skilled workers, which the company claims sets itself apart from its Chinese peers. In addition, the company has installed a complete line of advanced production equipment and a world-caliber quality-control (QC) lab with a number of state-of-the-art inspection instruments, including top-end testers imported from France, that are operated by detail-minded QC engineers. Cocome's water pumps are tested and inspected with high-precision devices before shipment. Cocome's quality reliability is attested by ISO 9001:2000 and ISO/TS16969:2009 certification. The company designs and makes water pumps and other parts on an OEM and ODM basis for virtually all car models and exports them globally, mainly to North America and Europe, under the "COCOME" brand. The company promises always to provide quality products, on-time delivery, and the best in customer services. Another top player in the field is Spring Come Industrial Co., Ltd., which was founded in Taiwan in 1989 and today is an ISO/TS 16949-certified company that specializes in making a variety of quality auto parts, including mainly water pumps, fan clutches, C.V. joints, and engine bearings, production facilities in China. Spring Come is known as a quality supplier of water-pumps to international OES customers. 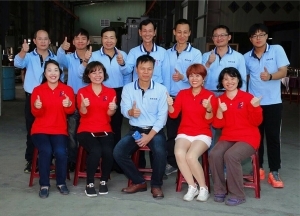 The company started out as a trading company, exporting quality Taiwan–made auto parts, and expanded into manufacturing in 1992 by building a plant in Yuhuan, Zhejiang Province to produce water pumps, engine bearings, and rubber bushings. In 1996 the company relocated the Yuhuan plant to the Kanman Industrial Area in order to upgrade production capacity. To expand its operations further and serve its clients better, Spring Come built another plant in Shanghai in 2003. The Shanghai plant now focuses mainly on manufacturing water pumps and fan clutches. 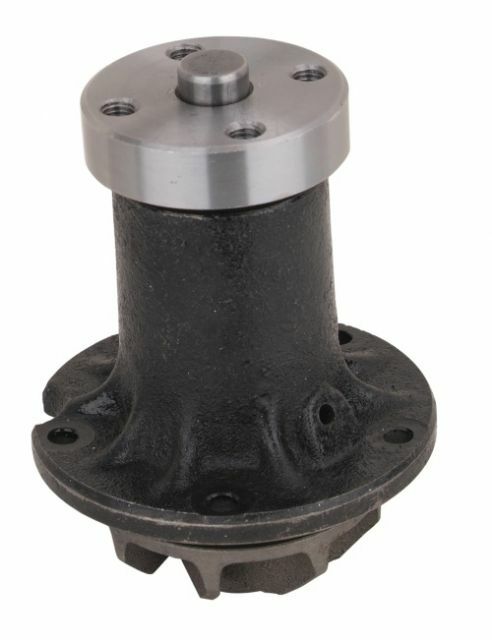 Spring Come supplies a wide variety of of water pumps. 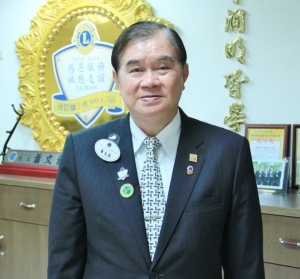 In 2006 Spring Come formed a joint venture with Eastern Industrial Inc. (EI), a U.S. company which has been supplying water pumps for over 50 years. Two other joint ventures set up by the company make C.V. joints and drive shafts in Taizhou and Pinghu, also in Zhejiang Province. Spring Come claims that it is well known as a supplier of products with original-equipment quality to the global automotive original equipment service (OES) sector, high-quality aftermarket, and performance market. The products are used in passenger cars, light commercial vehicles, trucks, buses, marine applications, and forklifts, among others, and fit a wide variety of American, European, Japanese, Korean, and Chinese car models. Established in 1989, Zhejiang Yuxuan Pump Co., Ltd. is an ISO 9001: 2000- and ISO/TS 16949-certified firm specializing in designing, developing, and manufacturing automotive water and oil pumps. 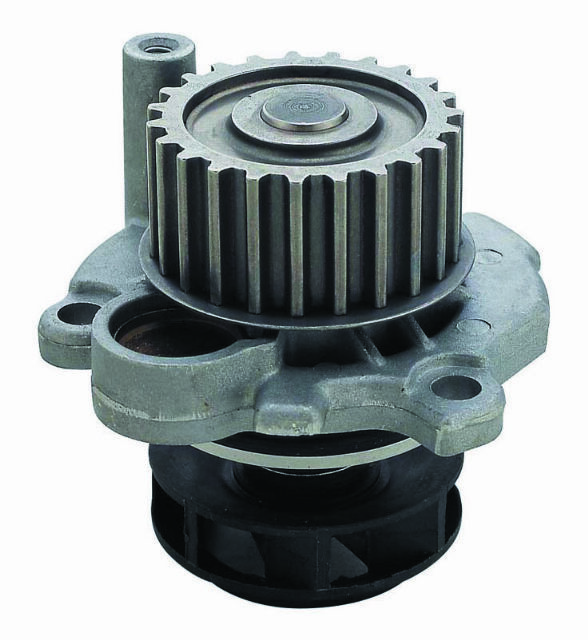 A quality water pump made by Yuxuan, which claims to be the most comprehensive supplier of its kind in China. The company claims that thanks to continuous massive investment in the development of new products, it is the most comprehensive supplier of its kind in China, offering more than 1,000 water pump and over 300 oil pump models for the most popular car models worldwide. Yuxuan currently operates a modem, 15,000-square-meter plant in Taizhou, Zhejiang Province, where more than 300 employees turn out over a million pumps annually. The facility now has three production lines with 120 types of processing machines, where skilled workers use the most advanced equipment to turn out products that are fully tested and inspected using top-level equipment and stringent quality-control procedures. The company says that all of its production and management processes strictly follow the ISO 9001 and TS 16949 quality systems. 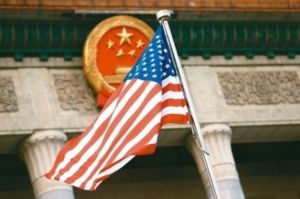 More than 95% of Yuxuan's products are exported, mostly to important markets like the U.S., Canada, Mexico, Chile, France, Russia, and the Middle East.